Barak 8 missile was successful in intercepting a missile that imitated the Yakhont anti-ship cruise missile. The Israel Navy has conducted a successful secret test of the Barak 8 missile, which is designed to defend ships from the much-vaunted Yakhont anti-ship cruise missiles, reports Channel 2. The Yakhont missiles are one of the greatest threats to the Navy's vessels, mostly because of their potential use by Syria and Hezbollah. The missile flies at a very high speed – almost the speed of sound – from the moment it is launched. The test was carried out with the cooperation of an Italian firm, which provided a missile that imitated the Yakhont and similar missiles. The Barak 8, which is not unlike the well-known Iron Dome anti-missile system, succeeded in intercepting it. 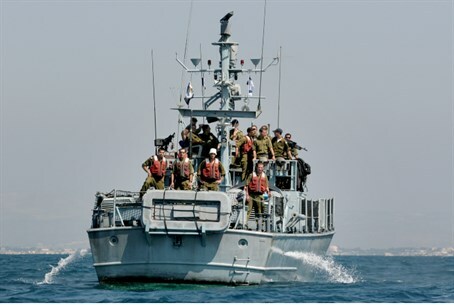 Sources in the defense establishment told Channel 2 that the Yakhont missiles also threaten Israeli gas drilling platforms stationed in Israeli “economic waters.” During the Second Lebanon War, a similar missile struck the INS Hanit, killing four soldiers. Nine months ago it was reported that Hezbollah successfully smuggled the anti-ship missiles from Syria into Lebanon. A senior US source estimated at the time that 12 missiles had been smuggled in by Hezbollah, but also said that the terror militia probably still lacks some parts that are necessary to make them operational. An alleged Israeli airstrike on a warehouse in Syria on July 5, 2013, was reportedly meant to destroy Yakhont missiles that were stored there, but did not destroy them all. The Syrian rebels reported that explosions had rocked several army ammunition depots in the western Syrian province of Latakia, possibly after they were targeted with rockets. Qassem Saadeddine, a spokesman for the Free Syrian Army's Supreme Military Council, later said that the rebels' intelligence network had identified newly supplied Yakhont missiles being stored in the depots that were hit. He added that “foreign forces” had destroyed the missiles in Latakia, hinting that Israel may have been behind the attack.